On Janu. 9 and 10, 2017, the audit team led by Mr. Ge from SGS-CSTC Standards Technical Services Co., Ltd. conducted the anual audit to 4L Health Co., Ltd. The audit includes ISO 13485 quality management system and 93/42/EEC certificates. Onsite check covers both the Dongjiang Science Park Factory and Foryou Industial Park Factory. After the audit, 4L Health achieved good comments and best wishes from SGS experts. The medical devices are related to life & health. 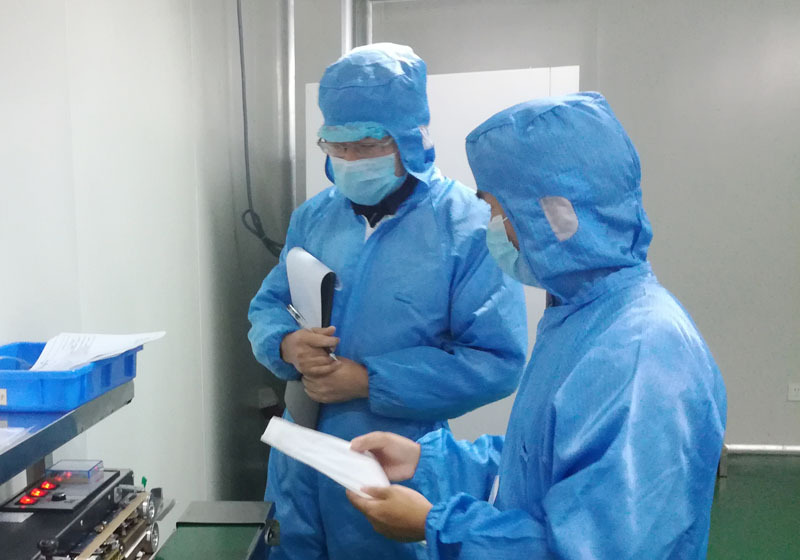 To ensure product quality, all colleagues paid great effort to maintain the R&D and production quality system to promote product safety and effectiveness. Hard work results in great harvest. In 2012, the Company became the first NPWT system manufacturer which achieved NPWT system CE certificate and EU R&D production quality management system certificate. In 2013, the Company became the first NPWT manufacturer which achieved approval (FDA 510k) of entering the US market, as well as the first NPWT manufacturer which passed US FDA site audit. With 22 years of R&D and production experience in medical devices together with 32 years in electronics products, we are devoted to developing high cost-effective NPWT systems.